How to prevent cancer: · discover how to assess & reduce your risk, foods that increase & decrease risk, how to decrease your exposure to cancer causing chemicals, how to fight back with nutritional medicine, prevention programmes & nutritional support by Patrick Holford. 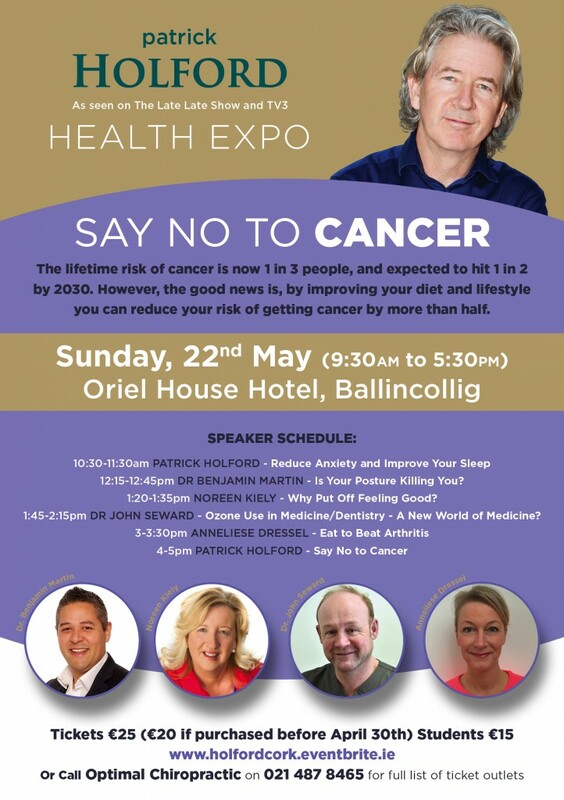 ‘Say No to Cancer’ is the title of Patrick Holford’s Health Expo which will be held at the Oriel House in Ballincollig on May 22nd, 2016. Due to popular demand Holford returns to Ballincollig following a very successful event last June. Starting at 9:30am, this full day event with numerous health stands and health talks by local doctors and health professionals is not to be missed. Dr Benjamin Martin (Wellness expert as seen on TV3 and heard on 96FM and C103), Anneliese Dressel (one of Cork’s leading nutritional therapists as heard on C103), Dr John Seward (Cork’s leading cosmetic Dentist), and Noreen Kiely (Coping with stress through mindfullness and holistic healer) will accompany Patrick Holford with presentations. Patrick has two scheduled talks. The first at 10:30am relating to Reducing Anxiety and Improving Sleep. The second talk at 4pm and will discuss how to prevent cancer. Cancer is on the increase – one in three people will be diagnosed with the disease at some point in their lives, with this figure predicted to rise. The single greatest cause of cancer is now known to be the modern diet. The good news is that you can reduce your risk – this invaluable event is packed with practical guidance and advice for people who would like to know how to prevent cancer, sufferers seeking nutritional advice to help them fight the disease and those wishing to prevent recurrence. 12:15-12:45pm Dr Benjamin Martin – Is Your Posture Killing You? 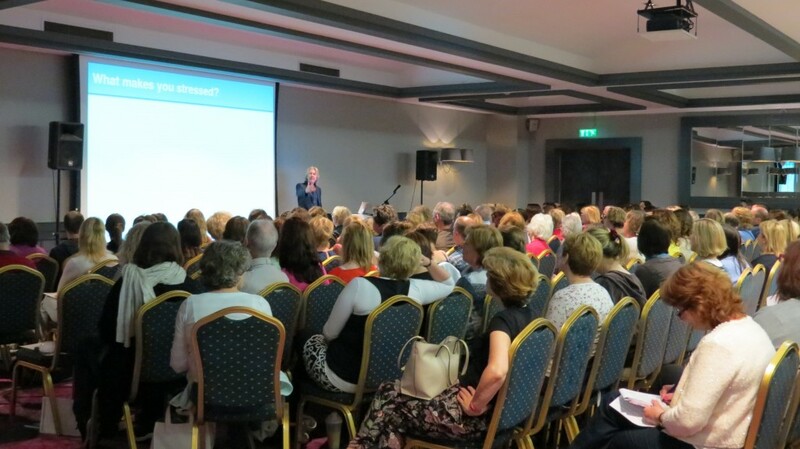 1:20-1:35pm Noreen Kiely – Why Put Off Feeling Good? 1:45-2:15pm Dr John Seward – Ozone Use in Medicine and Dentistry – A New World of Medicine?